Flamenco is excellent for posture. This is achieved by keeping a long, straight spine, shoulders back, tail bone tucked under and the core-stability muscles around the middle pulled in and up. You have to keep your arms above your head for long periods with flamenco, moving them in graceful twists and sweeps. This quickly develops long, lean muscles in the arms and shoulders. Weight-bearing exercise is key in helping to prevent this bone disease. The stamping movements and higher frequency of travelling steps boost preventative benefits, as they increase the load on bones. What Kind of Workout is Flamenco? The signature stamping motions of flamenco gives lower-body muscles such as the calves, hamstrings and thighs a hearty workout. On a secondary level, flamenco works the upper body, as it tasks you with holding your arms above your head and performing sweeping motions with them. To maintain the elegant posture essential to flamenco, you'll need to engage your core muscles as well. While dance exercise won't bulk your muscles up to bodybuilder proportions, it does help tone and define them. 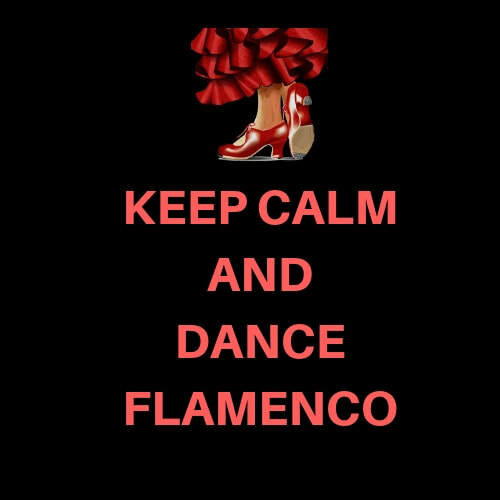 Performed as part of a regular cardiovascular exercise routine, flamenco dancing may prevent heart disease, reduce blood pressure and regulate your body weight. Regular cardio also leads to increased endurance, healthy blood sugar levels, a stronger immune system and even reduced stress and improved sleep patterns, among other benefits. Because flamenco requires you to keep a straight-backed posture – specifically, an elongated spine with your shoulders held back and hips tucked in – it encourages healthy posture outside the dance floor. Flamenco's footwork puts a load on the bones of the lower-body, increasing bone density and helping stave off conditions such as osteoporosis. The complex footwork of flamenco encourages concentration, and its focus on expressing passionate emotions may even have a therapeutic effect. Flamenco Good for Children, Adults & Seniors! Flamenco is an art form that can contribute, in a fun way, to healthy aging. Get the facts about colourful Flamenco culture. Flamenco–dance, music, and song–is a living art form originating in Southern Spain. Celebrating the amalgamation of people from diverse cultures, creeds, and stages of life, flamenco is an art form that nurtures the mind, body, and soul. One needs merely the courage and the desire to explore. As a dance artist, teacher, and former therapist, I have gained an appreciation for the many and varied benefits of the flamenco art form. Whether one chooses to dance, play guitar, or sing, flamenco demands a body trained to move, a mind trained to concentrate, and a soul trained to navigate its emotional content. Flamenco is expressed through the triple vehicles of dance, music, and song and offers physical, cognitive, and emotional benefits. Dance A series of repetitive exercises such as footwork drills, arm elevations, and hand- and torso-twisting combine to challenge gross and fine motor skills and muscle memory. One learns to isolate movement, strengthening each part of the body while refining proprioception, an inner sense of our bodies that informs us to know how, where, and what each part of the body is doing at all times. Guitar While learning to play flamenco guitar involves mainly fine motor activity, it offers many of the same benefits as flamenco dance. Neuroscience research is beginning to show that the brain can continue to grow throughout life. However, it needs to be challenged to do so. Flamenco is an art form that can contribute, in a fun way, to healthy aging. Psychologically speaking, cognition refers to the way in which we process information. In flamenco, one must be able to maintain concentration and be able to divide attention to learn and remember movement sequences and chord progressions. When dancers and musicians progress to a stage where interpretation of the song is required, a whole new set of skills begins to develop and the doorto culture and tradition opens. Songs originated from poets and dynasties within different regions of Andalusia. One must research, view performances, and listen to the music in order to learn about the culture of flamenco song, and become familiar with the differences in order to interpret them. Dancers intellectually navigate, organize, and interpret song information. They associate physiological responses that must accompany the reaction to the song. The same holds true for the flamenco guitarist. Furthermore, this needs to become an automatic response so that one’s soul comes into play and colours the physical sights and sounds with emotion. I coach and encourage my students and fellow artists to continually work on many levels of consciousness. One part of the brain is alert to the actual physical environment (the floor, the ability to physically endure the dance, and knowing when to rest or move explosively). Another part of the brain–memory–needs to keep track of the music, while yet another controls endurance in a way that permits dancers to sink into the body and access their emotional world. For some, flamenco is a way of life; for others, it is a temporary escape from the norm. For all, it is an expressive art form that feeds the mind, body, and soul, and fills the world with beauty.